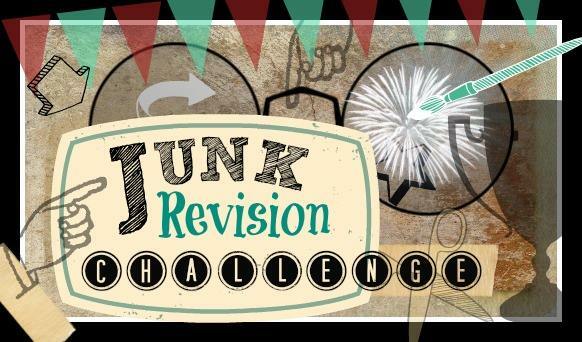 It's the first Monday of the month and that means it's time for me to join with several other bloggers in the Junk Revision Challenge. What is that you ask? Well, let me tell you about it. Each month we are given a theme to work with. Then we try to find an item to salvage from the trash or a thrift store and we re-purpose it to fit that theme. On the first Monday of each month each of us will share our item in the Junk Revision Challenge post on each of our blogs. This month's challenge was "desktop/office idea". I decided to make some organizational items for "Sissy's" desk. 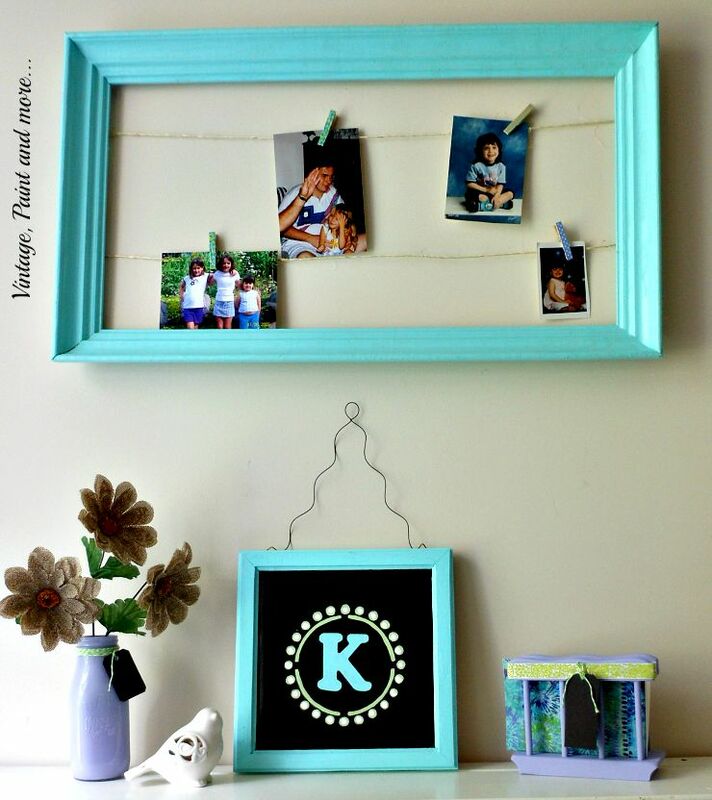 If you follow me you know that I have been doing a series DIY Dorm Decor in which I have been DIYing a few items for "Sissy" to use in her new dorm room to give it a bit of a homey feel. So for this challenge I decided to make "Sissy" an organizer for her pens, pencils, and misc. items she uses, a notebook/letter organizer, and a small tray for clips, tacks, and other stationary items. 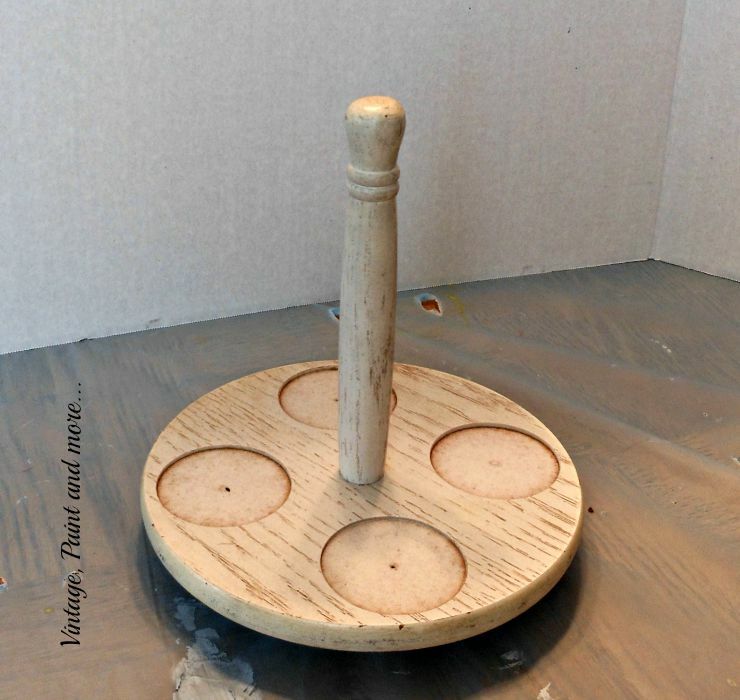 It all started when I found this little condiment lazy Susan at the local Salvation Army - $.99. Couldn't pass it up. 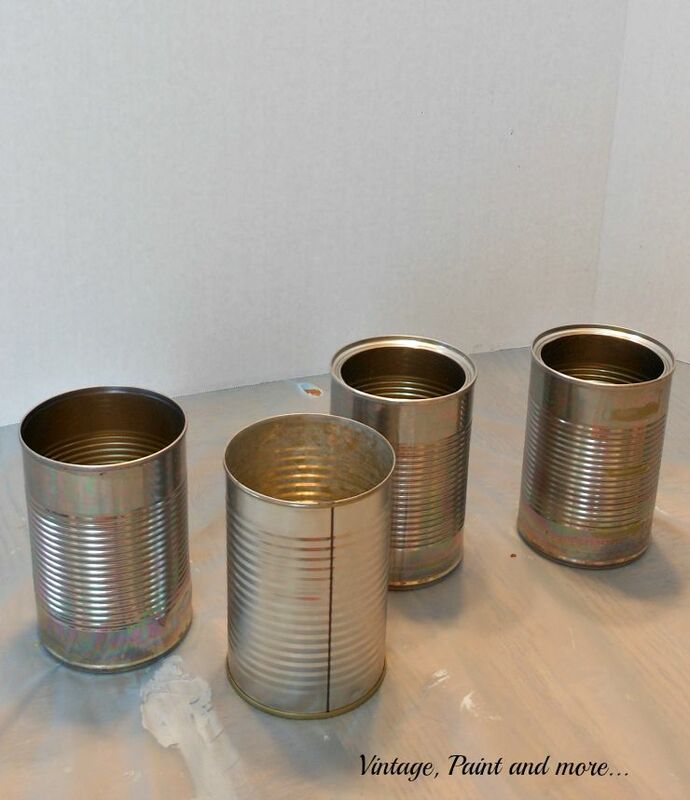 I also decided to add a few tin cans to it. 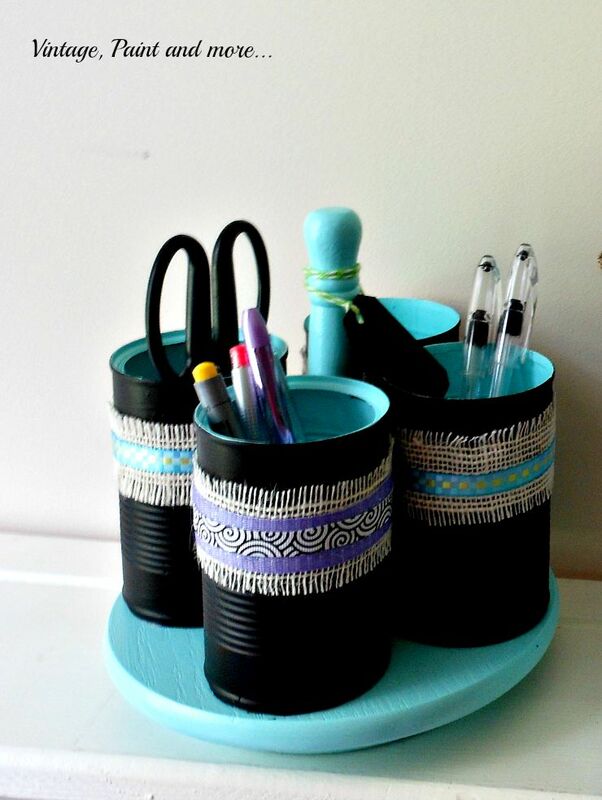 Basically what I did was paint the lazy Susan with some turquoise craft paint and the tin cans with black chalkboard paint. I then decided to add a bit of embellishment to each can by gluing on a strip of frayed burlap and a bit of ribbon. Then I glued the cans to the lazy Susan over the little indentations meant for the condiments. 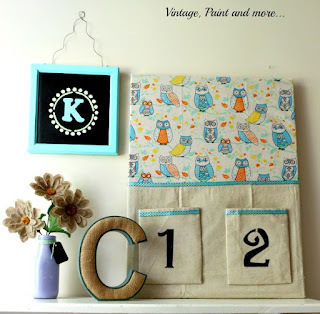 This is such a simple project and the end result is something that is quite useful and cute. Next I found this napkin holder for $.99 at the Salvation Army also. Very dated and not very cute but with a coat of the same turquoise paint and a strip of colorful washi tape it was completely transformed. I then added a small chalkboard tag to the front so she can label it. It is perfect for little notebooks and letters. The small tray was one that I actually picked up at Dollar Tree but added to this little desk set. I simply ran a piece of washi tape around the outside edge of it and it holds her clips, tacks, and misc things she needs. The flower vase was added to prettify the area. It's a Starbuck's coffee bottle that I painted with purple craft paint. I then wrapped some green baker's twine around the top and tied on a black chalkboard tag. 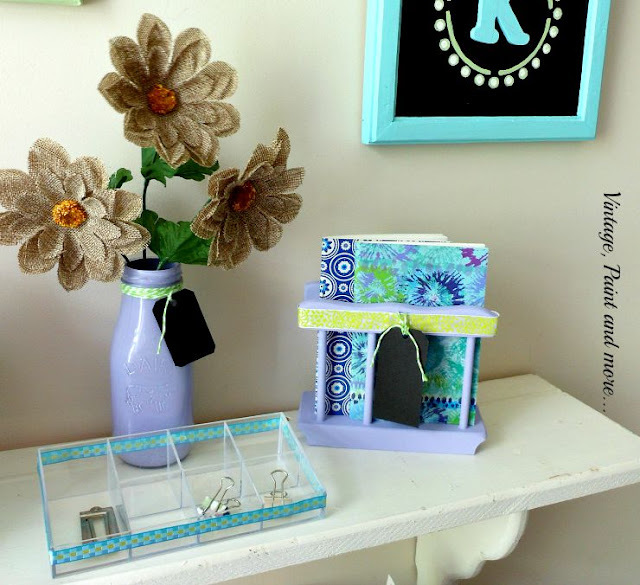 I added a stem of burlap flowers I had bought at the Dollar Tree for $1. This is what her desktop looks like along with the DIY Wall Art and the Monogram Wall Art we made that are hanging on the wall. 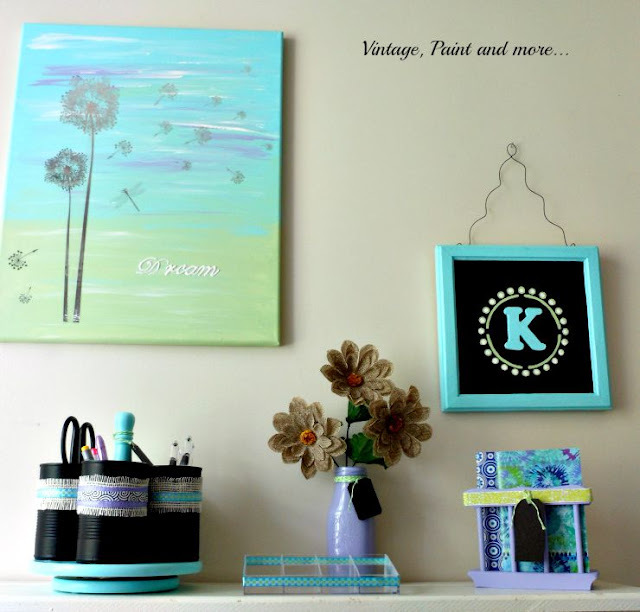 She wanted her decor to be very bright, cheerful and fun - I think we accomplished that with the colors she chose. And we did it all with thrifted, found and dollar store items. So what do you think? A completely organized desktop for $4 including the stem of flowers. I love the challenge this group gives me each month = so much fun to see what I can do to turn a piece of "trash" into a useful item for our home. Be sure to visit each of the links below and see what everyone else was able to do with their piece of "trash". 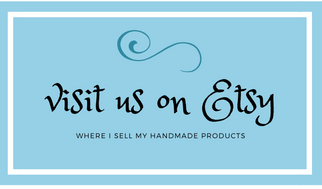 I think you will be inspired by all the creativeness found here and will want to create your own treasure. And don't forget to come back next monthe when we are challenged to create a nature inspired item using elements form nature. I know there are going to be some awesome entries in that challenge also. I will be linking up to the parties listed on the Where I Party page. 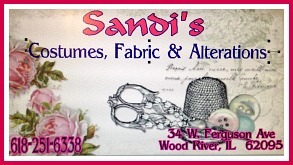 Be sure and visit them - you'll find so much creativeness and inspiration at each one. 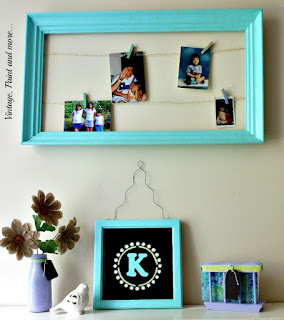 Love these ideas Cathy...so creative!!! Great job! This would be perfect for my daughters desk. Thanks for the inspiration. Very clever Cathy! 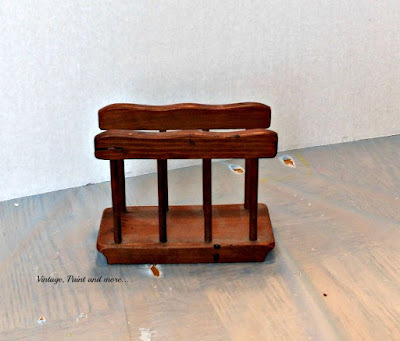 I would have never thought to upcycle a wooden condiment tray. Now I have another item to keep an eye out for in the thrift stores! Love your colour choices too! Love it! The color combo really pops! 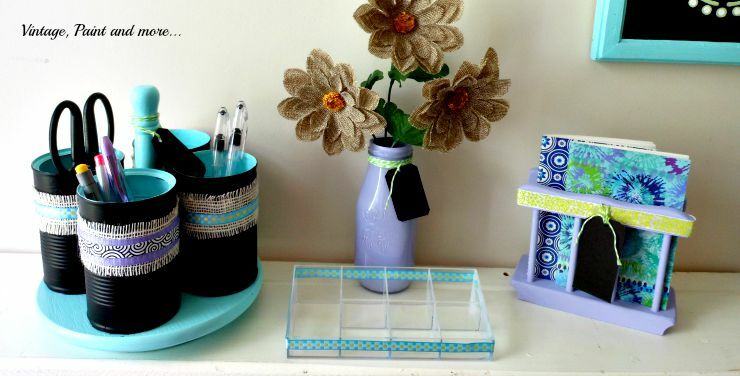 Funny, I just decorated a salad dressing jar with pretty cloth tape for my daughter's pens and pencils that were cluttering up her room! Cathy! Oh. Em. Gee! How perfect that is condiment holder! I love seeing something like that and going - BINGO! Great ideas! Love them both. The purple and the aqua are so bright and cheery and everything co-ordinates together so well! 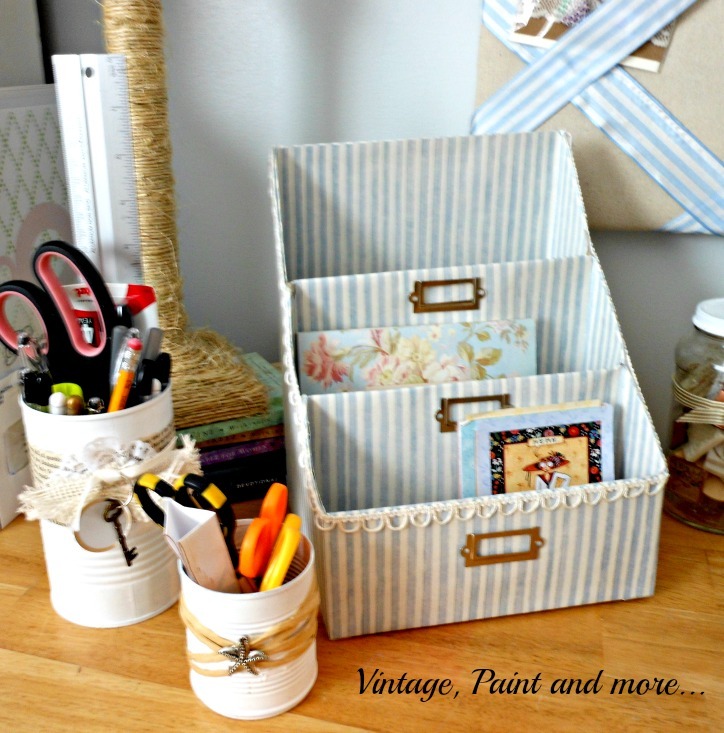 You really did good on $4 thrift store items that you upcyled into great useful items! I love lazy suzans and always pick them up then I see them at the thrift store. Thank you for the inspiration! CUTE! 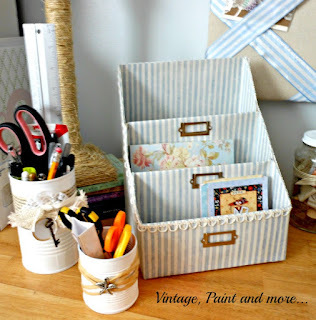 love that you took items that originally were made for kitchen use and turned them into amazing office organization! 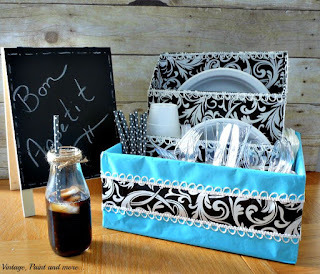 Once again, great recycling ideas! Love them! I know I can always find inspiration here! !